Australian building services and HVAC specialists A.G. Coombs uses Autodesk Revit BIM (Building Information Modeling) software as the platform for a lean (and green) design and construction project to support the building and ongoing operations of the International Convention Centre Sydney (ICC Sydney)—a large-scale, AU$1.5 billion convention center in Sydney, Australia. 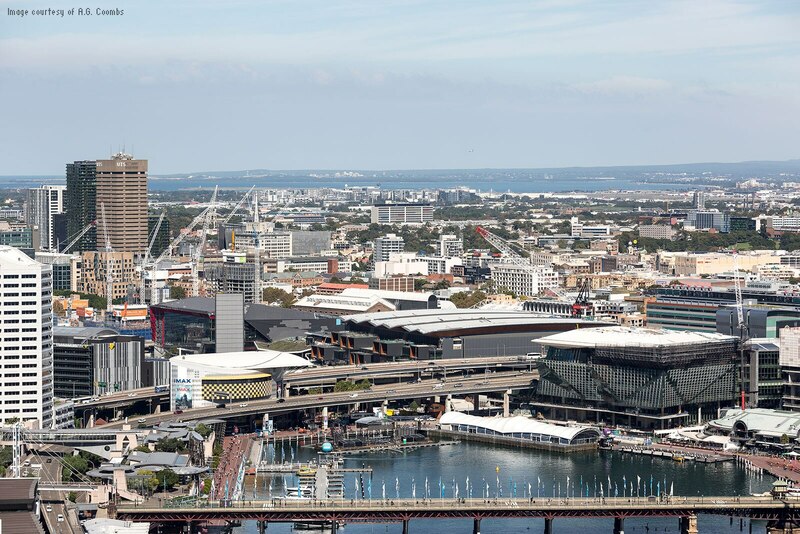 Located in Sydney’s bustling Darling Harbour pedestrian and recreational district, ICC Sydney features world-class exhibition, convention, and theater spaces. Since opening in late 2016, it’s quickly become one of the Asia-Pacific region’s premier convention and event spaces. Event attendees will notice how spacious and comfortable the venues are, but they won’t know the complex design and construction challenges that were overcome to deliver the ICC Sydney visitor experience. 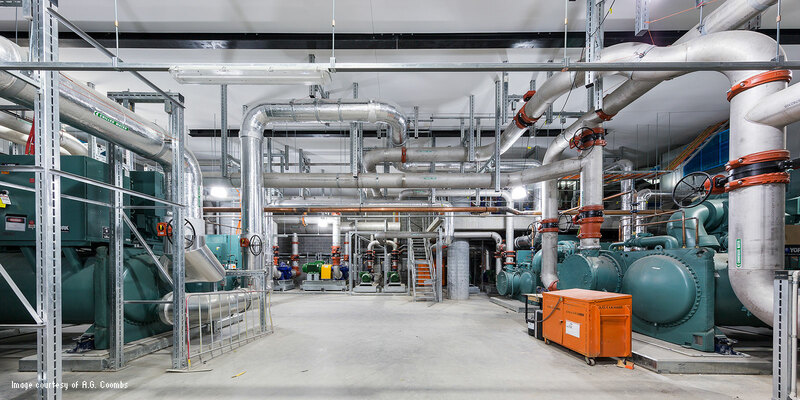 Designed to LEED Gold standards, the ICC Sydney’s mechanical services required the combined expertise and close collaboration of AECOM, the MEP engineering consultants, and A.G. Coombs, the mechanical services and HVAC specialist trade partner. A.G. Coombs was appointed by construction manager Lendlease in early 2012 and worked collaboratively through the bid phase to help the team secure the project. Construction began in 2014, well before the project team completed the overall building designs—which left the A.G. Coombs team racing to complete the construction models to support off-site fabrication and installation programs. The project’s massive size added to the pressure, with the ICC Sydney featuring a total exhibition, convention, and theatre capacity of 35,000 square meters. All of that space needed systems to keep the temperature comfortable without massive ducts dominating the space’s appearance. And with the steel structure being the project’s leading cost component, the building systems had to fit around the optimized structural design. Engaged at the beginning of the design process, A.G. Coombs gave advice to the design team on a wide range of issues, including safety in design and constructability to asset lifecycle optimization. 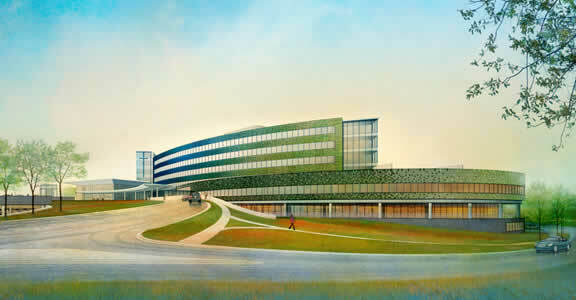 As the design-development phase wound down, the A.G. Coombs team took AECOM’s Revit design models through a virtual-build process to develop the detailed Revit construction models for each of the venues. 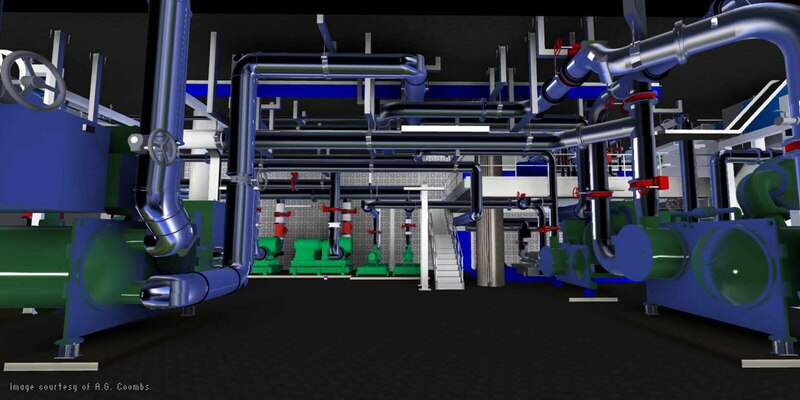 The virtual build also took advantage of A.G. Coombs’s integrated Revit and Fabrication ESTmep cost data to complete optimization studies of the ducting and piping system design. 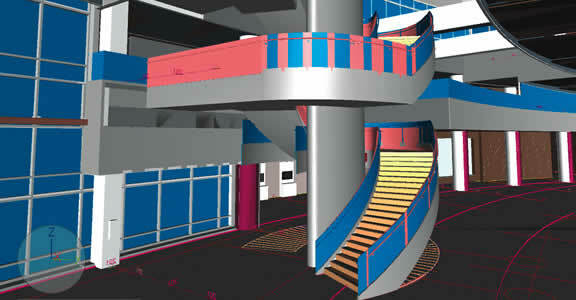 The site installation and commissioning teams used the completed Revit construction models as the basis for the as-built information given to the facility management team for use in ongoing maintenance and operations. The use of constructible Revit models to complete the design of large “in-roof” plant rooms demonstrates the benefits of a BIM process. Located in a complex steel-truss roof structure over a large open-span ballroom, the plant room had to fit perfectly within a tight space and house a significant amount of equipment. The A.G. Coombs team used the model to lay out the room and avoid clashes with the trusses and secondary steel. BIM helps the firm to make critical cost and timesaving decisions during the design phase. 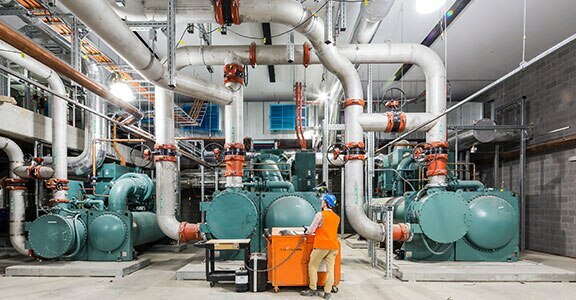 BIM and prefabrication methods help J.C. Cannistraro increase the efficiency of a campus utility plant. Technology is radically disrupting the way buildings and infrastructure are designed, built, and used. 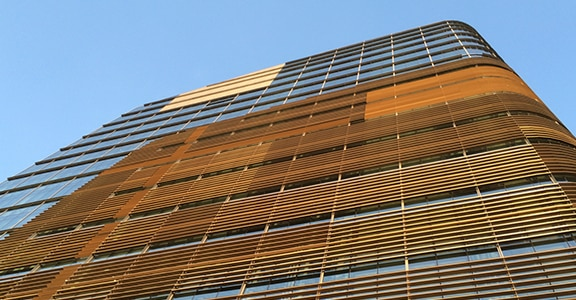 Learn how BIM helps this MEP firm to save time and improve collaboration.